I’ve been very critical of the mainstreams ‘growth story’ they continue to push. There are very troubling cracks widening in the economy they seem to ignore. 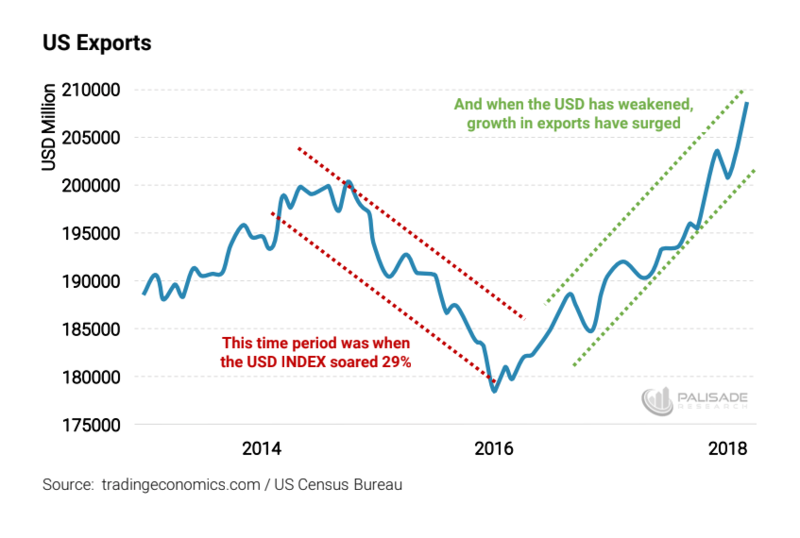 The last 15 months has seen U.S. GDP rise, but most of this came from increased exports which has benefited from the declining USD. As we learned from the Austrian Economist F.A. Hayek – this is only temporary growth – and the effect of this is rising inflation, which is becoming a problem now. 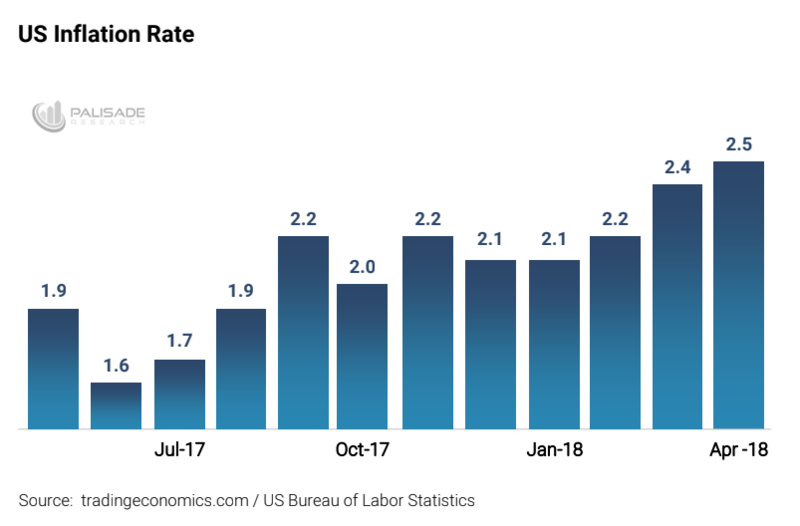 This puts the Fed between a rock and hard place – they either fight inflation by hiking rates (which U.S. economy can’t handle) causing a recession...or they let inflation run higher. Either way, there is a trade off. And the short-term growth has led us down the road of Stagflation. There’s been a lot of talk lately about the dollar and the United States’ economy. I don’t think people realize how the latest ‘growth’ the U.S. has had is superficial – all thanks to a weaker dollar. Most CNBC pundits don’t even mention how the weaker dollar has given the economy a short-term spurt. And the couple that won’t even acknowledge that it’s temporary. A country can weaken their currency to make their exports look more attractive abroad. 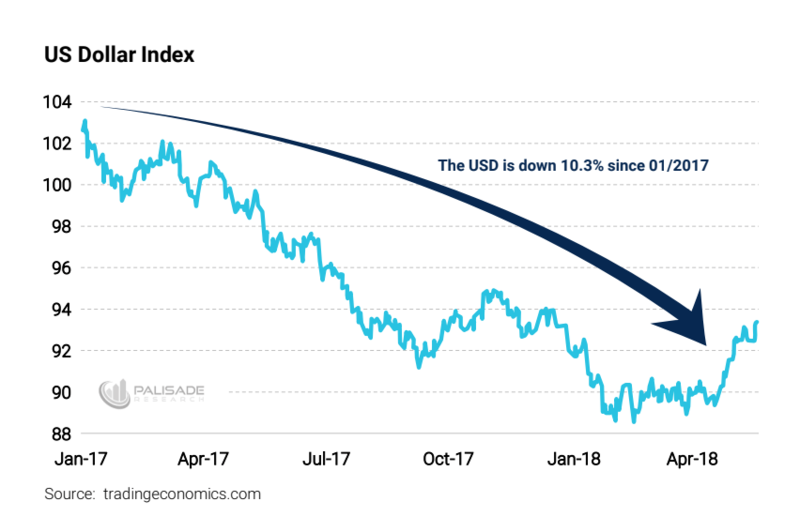 First – and most importantly – the U.S. dollar has been in a steep decline over the last 17 months – regardless of the recent rally. When a country needs to boost economic growth – a key thing they can do is to weaken their currency. This matters because. . .
1. It will give the nation a trade advantage and make their exports look attractive abroad. 2. The weaker currency will make imports more expensive, discouraging domestic consumers from buying foreign goods. And since the USD has declined, exports have grown considerably. . . This is what President Trump has wanted – all this talk of trade deals and trade wars with China is his way of increasing U.S. exports. He wants to make sure when foreigners look at the tags on their products it says “made in America”. Now, as we’ve learned from the over-rated economist – John Maynard Keynes – when you cheapen your currency and boost exports, it will increase your economic output. Economic growth = GDP (gross domestic product). . . The formula for GDP is C (consumption) + G (government) + I (investment) + NX (net-exports). And if you have more net-growth in any of those four, your GDP will be positive. But notice the last one – that’s the important key here. Boosting exports will therefore grow the GDP. As we saw above, U.S. exports have risen sharply since the currency has weakened. Let’s see how GDP has done since. . .
It’s been choppy – but the trend is upwards. So it looks like the weakening dollar has helped U.S. growth. But, here’s the problem – you can’t just cheapen your currency to get never-ending growth. There’s no such thing as a free lunch. Going back to the teachings from the Austrian School – the nearly forgotten economist F.A. Hayek – the weakening dollar is only temporarily helping GDP. And the longer it goes on for, the more prices will rise throughout the entire economy, negatively affecting it. This means that the export growth the U.S. has had – which translates into GDP – isn’t sustainable. And as inflation starts trickling into the economy (because all prices don’t rise at the same pace) – the whole will be negatively affected. Putting this into context – in 2017 roughly 70% of U.S. GDP comes from consumption whereas -4% came from net-exports (this means we imported more than we exported by 4%). As I wrote at the beginning – the weaker currency dissuades imports and promotes exports – thus increasing net-exports. But with 70% of the U.S. growth driven by consumption, the ongoing inflation will eventually damage the economy. Not to mention the Fed has tied themselves to the ‘2% inflation’target. So the market will expect them to start aggressively hiking rates once inflation hits 2% – which will most likely send the economy into a recession. I’ve been writing a lot lately about the economy being much weakerthen the mainstream likes to admit. . .
From subprime auto loan delinquencies soaring, to declining foreign demand of U.S. debt. . .
That’s why I believe the U.S. can’t sustain higher rates. 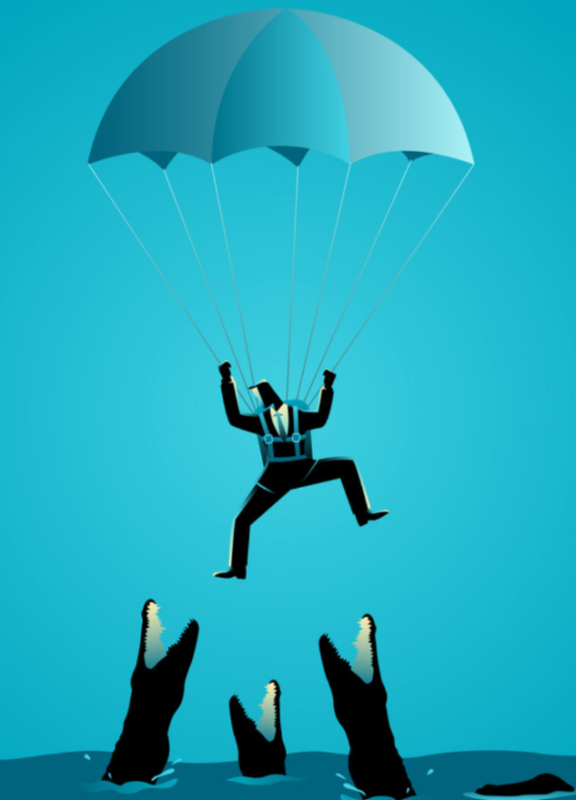 The economy is still very fragile and heading towards an ugly period – known as stagflation. This is when the economy has constantly increasing inflation and low growth – teetering in and out of recessions. The last time we saw stagflation was during the 1970’s which was known as the ‘lost decade’. The only way the U.S. was able to escape without imploding was thanks to Henry Kissinger setting up the ‘petro-dollar’ with the Saudis’. And Federal Reserve Chairman Paul Volcker hiking rates all the way up to about 20%. Imagine today if interest on the record amount of government, auto, college, mortgage, and credit card debt all shot up to 15-20%. . . The Government could never allow that to happen. This is a dangerous place to be in for the Fed – they’re stuck between a rock and a hard place. . . Either they decide to fight inflation and raise rates faster – which will send the economy spiraling into a debt-ridden collapse. Or they decide to ditch their inflation target and let prices rise – in attempt to get more economic growth. It seems like this outcome was inevitable and all Fed Chairmen do is play hot-potato with each other. Hoping they can keep things going until they don’t have a choice but to do something drastic. As we learned from F.A. Hayek and the Austrian – who correctly predicted the 1970’s stagflation which the mainstream said would never happen – eventually inflation will get noticed and creditors will start raising interest rates on their own. 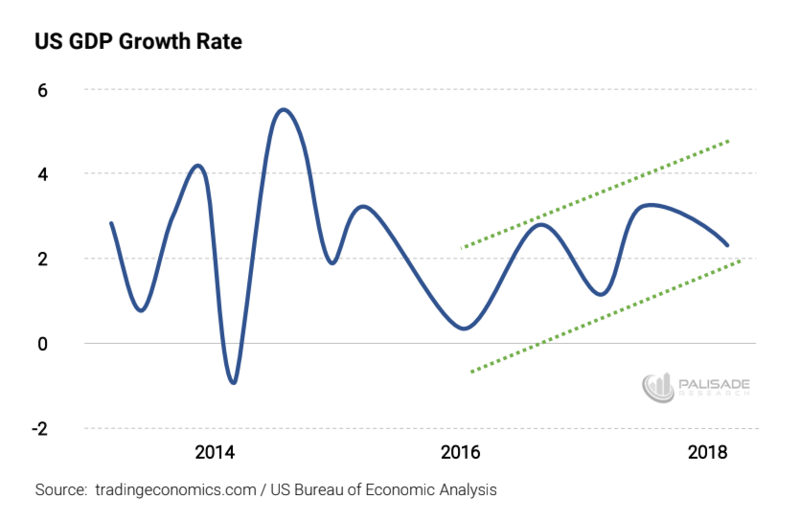 If the dollar keeps rising – which I don’t believe it will or can – U.S. exports will fall and imports will rise, negatively affecting GDP and the trade deficit.